Cape Town - The Griffons cemented their position as the top team in the Currie Cup First Division in a thrilling penultimate pool round which ended with five teams remaining in the race for the other three semi-final spots. With the pool stages coming to a close next weekend, the Leopards, Valke and Boland Cavaliers will battle it out for the second home semi-final, while the SWD Eagles and Border Bulldogs are also still in the running for playoff spots. 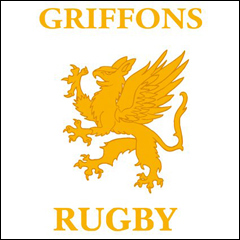 The Griffons defeated the Leopards 28-22 in Klerksdorp on Friday to book their home semi-final, with the victory allowing them to maintain their unbeaten status and placing them in pole position for a home final, while the defeat for the Leopards marked their first of the season. The Leopards held a narrow 15-13 lead at the break in what was a tight encounter from the outset, but four tries by the Welkom side - two of which were scored by No 8 Cody-Anthony Basson - thanks to their effective finishing was enough to outdo the hat-trick scored by Leopards No 8 Jeandre Rudolph. The Boland Cavaliers, meanwhile, secured a valuable 48-20 bonus-point victory against SWD in Wellington to finish the round in fourth position on the log. The first half was closely fought with the hosts taking a narrow 17-10 lead, but they broke away in the second half as they made the most of their point-scoring chances, which saw them finish the match with seven tries to two by the visitors. The Valke also ensured that they remained in a comfortable position to secure a semi-final berth as they outscored Eastern Province five tries to three in Port Elizabeth for a 29-17 victory. The hosts built up an encouraging 24-10 lead at the break and they maintained this form in the second half to secure the win. The clash between the Border Bulldogs and Welwitschias in East London was gripping from start to end as both sides gave everything, which saw the hosts secure a nail-biting 26-25 victory. The sides entered the break tied at 7-7, but four tries by Border to a hat-trick by Welwitschias winger David Philander, handed the hosts the edge on the scoreboard. Border Bulldogs - Tries: Soso Xakalashe, S'bu Ncanywa, Sethu Tom, Athenkosi Manentsa. Conversions: Bangi Kobese (3). Welwitschias - Tries: David Philander (3). Conversions: Macho Prinsloo (2). Penalty Goals: Macho Prinsloo (2). Eastern Province - Tries: Josh Kota, Sphu Msutwana (2). Conversion: Luvs Claassen. Valke - Tries: Shane Kirkwood, Ernst Ladendorf, Christian Rust, Don Mlondobozi, Coert Cronje. Conversions: Warren Johan Potgieter (2). Leopards - Tries: Jeandre Rudolph (3). Conversions: Schalk Hugo (2). Penalty Goal: Schalk Hugo. Griffons - Tries: Khwezi Mkhafu, Cody-Anthony Basson (2), Tertius Maarman. Conversion: Gaun Kotze. Penalty Goals: Gaun Kotze (2).